From Ballroom to Broadway, Arts Horizons’ movement residencies creatively inspire students to develop dance literacy, explore cultural connections, and develop healthy living skills. Students take risks, explore patterns in space and build awareness of historical and contemporary dance icons of the global society. Fight Childhood Obesity, one dance at a time, using Dance Fitness programs such as Latin Dance Fitness, Capoeira or Hip Hop Dance. Students are introduced to classical and cultural dance forms, and, learn routines which emphasize proper warm up, cardiovascular fitness, strength and flexibility. If desired, students can create and star in their own fitness videos. Students will be exposed to social dances (salsa, swing, ballroom, waltz, tango) in both classical and contemporary formats. Themes of respect, health and wellness, and positive self-image are emphasized throughout these classic and energizing programs. Programs can culminate in student showcase for the school community. Students will learn dances from Africa, Asia, Europe, India, North and South America and the Middle East. This residency builds cultural awareness, global awareness and brings social studies curriculum to life. Step Dance is a form of percussive dance using the whole body as an instrument to produce complex rhythms and sounds. 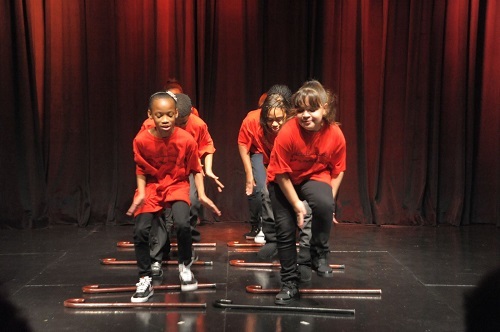 Combining dance steps, footsteps, spoken word, clapping, choreography and use of props, step dance teams create a dynamic display of rhythm and dance. The program emphasizes team work, cooperation, unity, discipline and hard work as students foster creativity, hand-eye coordination, organizational skills and attention to detail. This dance form is great for the dancer and the ‘non dancer’. Story Dance Workshops” provide a multisensory format and will use a selected story book to engage students through hands on participation in Dance, theater and music percussion. Students explore how movement and music can communicate an idea/story. Through this workshop, students will increase interaction with peers, release fear, and discover artistic talents. Dance programs including Modern, Tap, Hip Hop, Ballet, African Dance or Step dance can be offered as separate 8 week units. Student will participate in dynamic, sequential learning through the 8 week course of study. Program instruction (particular to the selected technique) will emphasize proper warm up, execution of basic movement vocabulary, group choreography, as well has history of the dance form. Students will be introduced to cultural expressions of the art form including historical and contemporary artists/groups. Enjoy the art of dance! 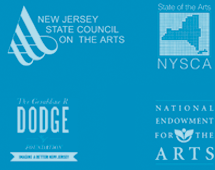 Arts Horizons' dance programs range from international to step to modern, and educate on topics such as history, improvisation and interconnectedness. By the end of the performance, our dancers will have you clapping and dancing along with them.